The Killing’s first season “ended” this Sunday. I put “ended” in quotes, because it wasn’t an ending anyone really suspected. Because we expected an ending. We expected to find out, as advertisements, press release, and the general feel of the show seemed to promise, who murdered Rosie Larsen. We didn’t. Fans and critics, unsurprisingly, were furious. Some of it was with the quality of the show itself. What began as a poignant meditation on grief, loss and obsession, had quickly become something entirely too familiar. Veena Sud, the showrunner for The Killing, originally came from Cold Case, a forgettable CBS procedural. The moments of showing the grief of a father and mother aside, The Killing had simply become an episode of Cold Case stretched, shakily, over 13 hours. But here’s the bigger problem, a problem that serialized TV in general has: The longer you delay gratification, the more gratification we expect. That’s one of the reason why procedurals like Cold Case and CSI do so much better in the ratings: Each hour, we get an ending, we get an answer, we get gratification. But dramas like 24, Buffy the Vampire Slayer, and Veronica Mars stretched a single story throughout an entire season. We had to wait until that series finale for the plot line to come to a close. Shows like Lost and Prison Break went even further, stretching out a single mystery for the entire lifetime of a show. Each show has had different success rates with answering its central mystery: But generally, the rule remains. The longer we have to wait for a reveal, the better the reveal has to be. It's hard to draw out a mystery long enough to make it both surprising and logical. We had to wait an entire season to find out what was in the hatch on Lost, but the answer was still worth it. We had to wait six seasons to find out what the island was, and the reveal wasn’t worth it. The best shows know this. The best shows answer mysteries as they go, then introduce new ones. Or they answer smaller mysteries in between the larger one. Veronica Mars had smaller “mysteries of the week” in between the season-long who-killed-my-best-friend? mystery. No season-long show can survive having the entire weight of the narrative placed on the answer to one question. If The Killing is going to be a better show next fall, it needs to diversify its portfolio. It needs to add a half-dozen other mysteries it can answer as the show develops. It needs to create other plot lines, other stories with actual arcs, to spend the time on. A single-minded story can’t survive across multiple hours. 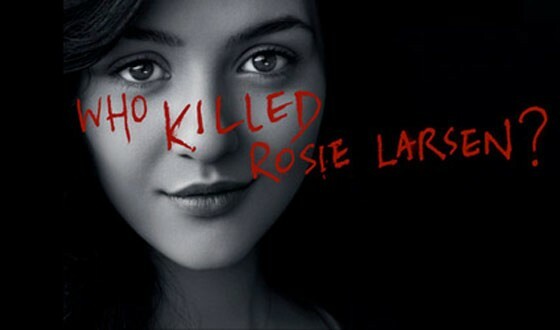 “Who killed Rosie Larsen?” or “What is the Island?” is just one interesting question, one provocative storyline. But on a show that spanning seasons, it can’t be the only one. MORNING HEADLINES: Is it news if we knew it was coming?